What began as a singular effort to provide a couple of fishing boats to a small community near Freetown has evolved into a variety of projects to support health care, education, clothing and assistance for handicap/homeless communities. We've been following a path of 'relief through opportunity'. Donations provided in the form of equipment, goods or supplies are shipped to Sierra Leone and distributed to those most in need. Sustainability is the goal of many of our special projects, but other donations go hand-in-hand with these efforts, complementing our projects in very unique ways. 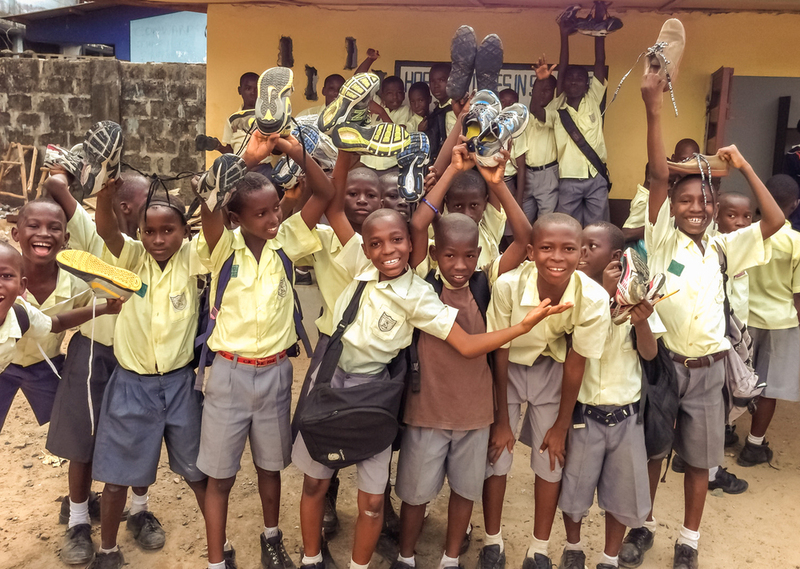 Our Hope for Lives Library at St. Anthony's School provides an excellent venue for distributing the many thousands of pairs of shoes donated by our good friends at Shoe Train in Potomac, Maryland. Donations of hundreds of stuffed animals put a smile on the faces of children in the pediatric ward of Connaught Hospital in Freetown. Many of our projects are coordinated in-country by Alpha Jalloh, whose help and guidance has been critical in managing these efforts, identifying the need and ensuring donations get to those most in need. The beauty of providing relief and opportunity in Sierra Leone is that, in a country where people have virtually nothing, literally everything is needed. In the U.S. , items we discard every day without a second thought may be of great use and utility to the people of Sierra Leone. 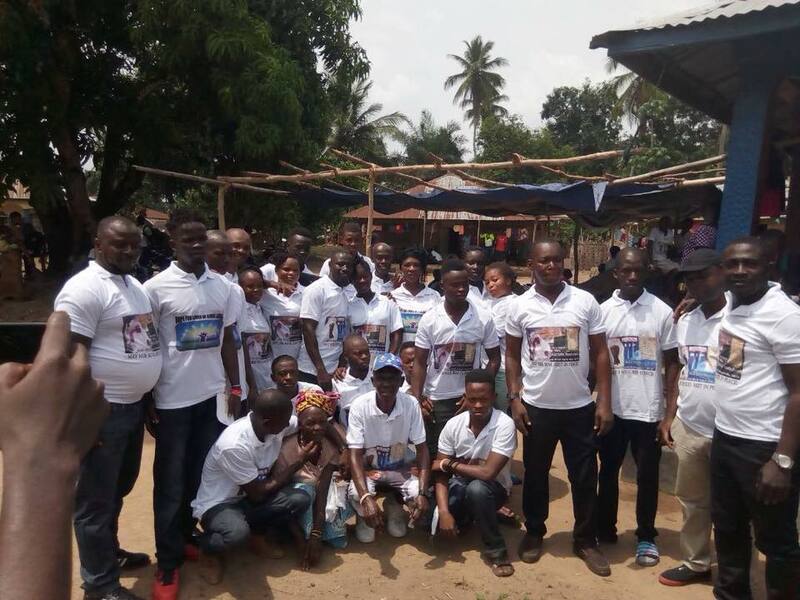 Please take this opportunity to read about our projects, because there just may be something YOU can provide that will make a big difference to our friends in Sierra Leone. Upon his return, Bobby talked to his friend Bill Coleman and they arranged to have two fishing boats built for the community of Murraytown. Two outboard motors were purchased in the U.S. and sent to Sierra Leone. Together with a 3rd boat (bequeathed by Bobby's friend Keith Henderson), the fishing boats are making a huge difference in the lives of the families and community they support, feeding hundreds of people every week. Their kids are able to go to school, they can afford medical care and can put food on the table. A truly self-sustaining project. St. Anthony's Primary Catholic School near Freetown is the school that Bobby Smith attended as a child. His mother was also the head teacher at the school, so St. Anthony's is near and dear to his heart. The school has over 800 boys and girls in classrooms of 40-50 kids each. They have no electricity and very limited resources. St. Anthony's is always one of the first places Bobby visits on his visits to Sierra Leone. Every time he visits, he has bag lunches prepared for the 800 kids and teachers with the help of staff at the Hill Valley Hotel nearby. The idea for a library was something Bobby was determined to accomplish. In January of 2013, with the help of a Canadian he'd just met at Hill Valley Hotel named Doug Sanders and local laborers, he managed to build the structure, furnish it with books (and a part-time librarian). Bobby returned for the official opening in April, attended by students, teachers and government officials. Update Spring 2018: We have continued to collect tens of thousands of books that are being distributed along with school supplies, clothing and shoes to schools in remote areas including Waterloo, Regent, Wilburforce and Rotefunk. This represents a huge expansion of our efforts in Sierra Leone, made possible by the efforts of our newly created Hope for Lives 'Dream Team' managed by Sia Fatmata Nyuma. In the same lot, right next to the library, we managed the construction of a computer lab. The structure was built and the computer lab was operational in early 2016. Computer donations were collected from individuals and companies in the U.S. 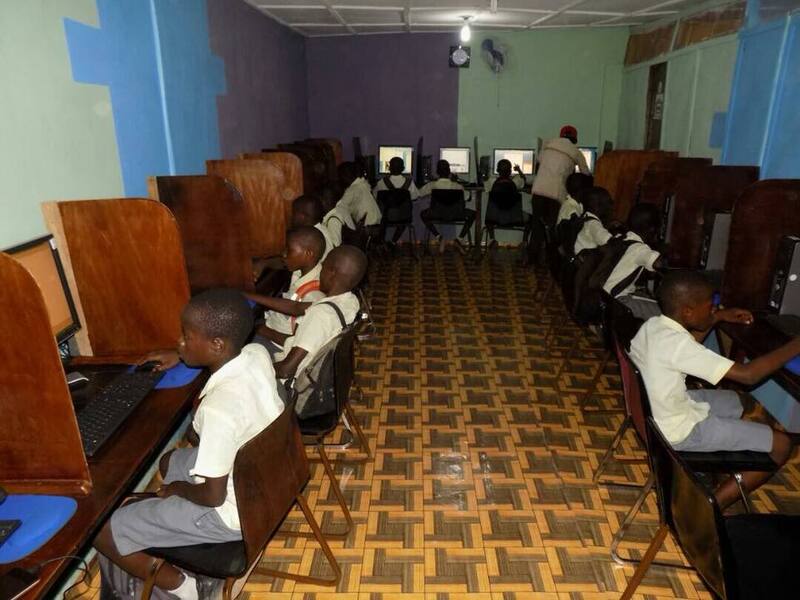 This computer lab is designed to be sustainable through paid public access that will, in turn, allow school kids access to computers for free. We also installed an ice cream machine at St. Anthony's and set up a 2nd room with printers and screen printing, where we print t-shirts for school athletics teams! UPDATE Spring 2018: The computer lab at St. Anthony's School has been a huge model for success. Early this year we sent 50+ more computers with the goal of opening computer labs at schools in remote areas. Stay tuned! In 2017, we were introduced to a group called 'Hope Life Savers Clinic', a small 2-room clinic headed by a wonderful woman named Sia Fatmata Nyuma. Hope Life Savers Clinic adopted our name after hearing about Bobby Smith and the work Hope for Lives had done throughout Sierra Leone. The two had never met and Bobby found out about their work, ironically, on his birthday. Sia is now the leader of the aptly named Hope for Lives 'Dream Team'. The Dream Team has been visiting schools throughout remote areas of Sierra Leone including Waterloo, Regent, Wilburforce and Rotefunk, providing donations of books, schools supplies, donated clothing and shoes. Facilitated by the Toyota RAV4 vehicle we sent over in late 2017, The Dream Team has visited dozens of schools and provided donated goods to tens of thousands of school kids in areas that are not supported by the government at all. Visit our Flickr photo gallery for many more images of the Dream Team in action. It would be difficult to find any single individual who has had more of a positive impact on healthcare in Sierra Leone from OUTSIDE of the country. Millions of dollars worth of basic and specialized medical equipment and supplies are sent in every shipping container we send to Sierra Leone. Our primary donor for this equipment is the very generous Suburban Hospital Johns Hopkins in Maryland, but we've also received a lot of specialized equipment from Bobby's cardiologist friends and others. Connaught Hospital is the main referral hospital for the entire country. 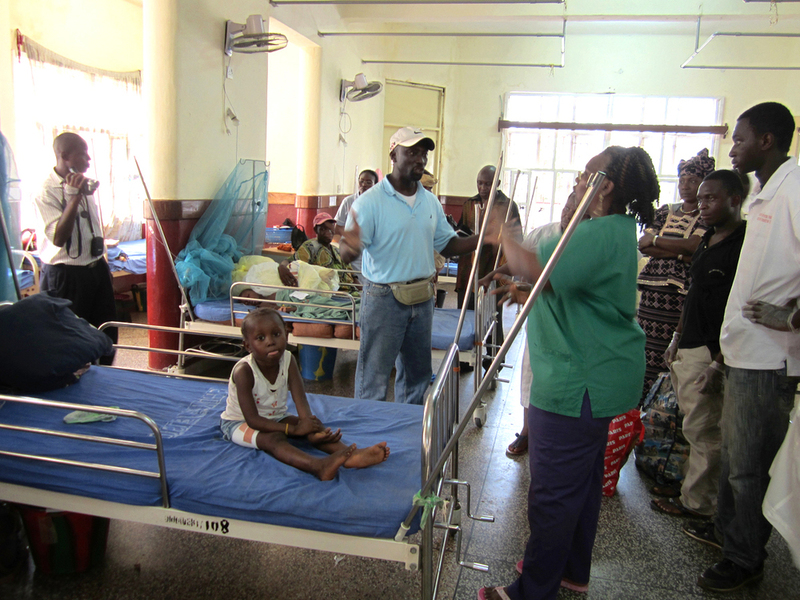 The hospital serves those who cannot afford to pay for medical care at a private hospital or clinic. Connaught Hospital has been one of the primary beneficiaries of medical equipment and supplies and feeding during our visits. Soon we hope to schedule the medical mission to Connaught Hospital that was postponed due to the Ebola emergency. We have also provided supplies (and feedings) at Ola During Childrens Hospital. In 2016, we were introduced to Jimmy Bruzon of Action4Schools. Based in Gibraltar, Action4Schools has been on a mission to build wells throughout Sierra Leone, primarily at schools and other prominent locations where water access is very limited. Action4Schools has been one of the greatest partners we could hope for, building a well at St. Anthony's school and 30+ other locations. They also helped with much needed repairs to the school building and roofs at St. Anthony's. Our Dream Team is helping to identify other schools and locations where wells are in great need in the remote areas of Sierra Leone. Their goal for 2018 is to build another 50 wells throughout the country. 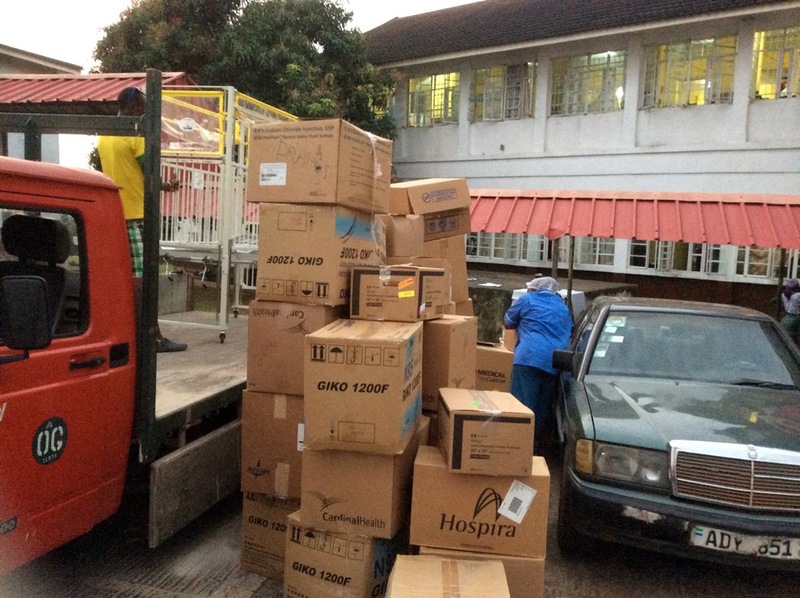 In July 2015, Suburban Hospital Johns Hopkins made a huge step toward improving health care in Sierra Leone with the donation of 7 Beckman Coulter Hematology and Immuno-assay machines, which finally arrived in Sierra Leone in April 2016. This one effort will be the biggest thing we have accomplished to date. Currently, there are no machines of this kind in the entire country. Any comprehensive blood and urine testing must be sent out of the country for analysis. 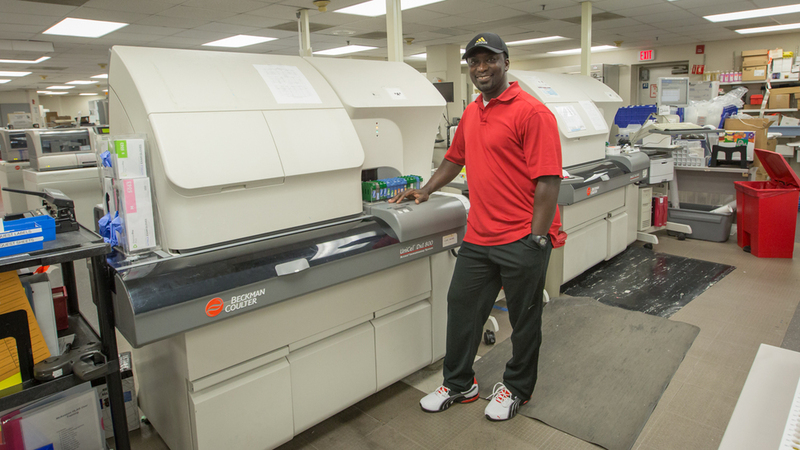 View the video demo/introduction of these machines by two lab technologists at Suburban Hospital. 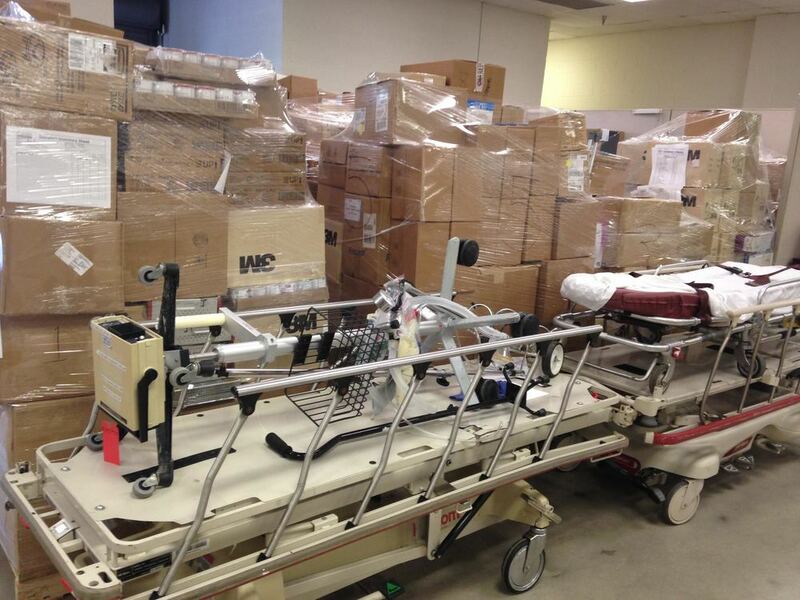 Additionally, this shipment will contain a number of donated cardiology machines (ECG/Stress) . We are identifying destination facilities and working out logistics and sustainability for these machines. Suburban Hospital Johns Hopkins Medicine has provided literally millions of dollars worth of supplies and equipment to support hospitals and clinics in Sierra Leone. When the Ebola epidemic escalated, Hope for Lives was able to send thousands of items to fight the disease and protect health care providers assisting the effort. Many other donors have also provided equipment and medical supplies, contributing immensely to our shipments overseas. The rate of equipment & supplies donations always outpaces our funding to ship them, so please DONATE NOW to get our inventory to those who need it. You have to see to believe the monumental amount of equipment we have sent to Sierra Leone in our Flickr photo gallery. Bobby's 20+ years in the emergency room and as an EMT provides a wealth of experience in providing screenings and critical care to people in need. Many of his visits to Sierra Leone have included blood pressure screenings, CPR classes and other assistance. View our gallery of images from the medical screenings on Flickr. As you might imagine, in Sierra Leone they have to do A LOT of walking. Shoes are a luxury for most kids and if they had a pair, they would wear out VERY quickly. 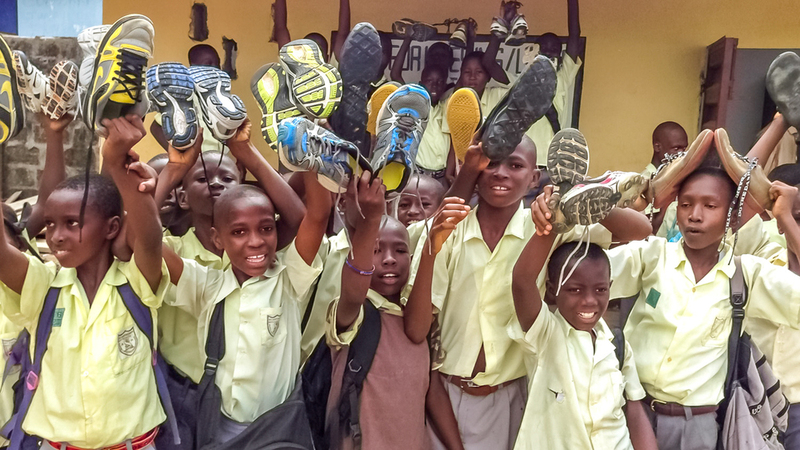 Our friends at Shoe Train in Potomac, Maryland have donated over 50 THOUSAND of pairs of shoes that customers give towards our effort, many practically (or literally) brand new. The program for challenged kids at the Francis Scott Key Middle School was able to collect 110 pairs of shoes in a recent shoe drive at their school. Take a look at all the shoes we've donated in our Shoe gallery. A physical handicap in Sierra Leone typically means you have no chance for employment. If you visited Sierra Leone, one thing you would notice is the high number of amputees and disabled people, a very visible reminder of the brutalities that occurred during the 11 year civil war. On his trips to SL, Bobby often distributes hundreds of bag lunches to the amputees and participates in the handicap soccer tournaments/practices on the beach. We've also provided tools to the amputees, which allows them to make household items to sell on the street. View more images from Bobby's work with the amputees. Bobby's friend Alpha coordinates assistance for Madina Fullah, in Makeni Province. A long drive from the capital, Freetown, Madina Fullah has thousands of acres of marshland suitable for rice farming. Enough to feed the entire country... if they had equipment to farm with. Bobby tries to visit Madina Fullah on many of his trips to Sierra Leone. We hope to provide more assistance to the community if we can secure the resources. See more photos from Madina Fullah here. Our newly established (2017) Hope for Lives 'Dream Team' has expanded our efforts to support schools and communities in the remote areas including Waterloo, Regent, Wilburforce and Rotefunk more recently. This team of 9 members (and growing) led by Sia Fatmata Nyuma has been visiting schools in remote areas distributing books, schools supplies, and shoes. The Dream Team has been a godsend and has dramatically expanded our reach throughout Sierra Leone, helping to establish an ongoing relief effort for areas not supported by the government or any other entity. See pics of the Dream Team in action. On most of Bobby's visits, he manages to find the time to prepare hundreds of meals for students at St. Anthony's School, local hospitals or for the amputee/homeless communities. With the help of staff at Hill Valley Hotel, they have prepared bag lunches for thousands of people. Just a little add-on to his very productive visits to Sierra Leone.